Recipe How to Make Lollipop | Tips Kids Party - Ideas, Themes, Decorations and Fun! You can buy the famous lollipops, no problem. But can you imagine the reaction of children to know that you even made the lollipops they are eating? There are several ways to prepare a lollipop. 3 drops of dye (edible or aniline) red or green. To begin, take aluminum forms suitable for 10 lollipops (for sale in markets and specialty stores). Can be found easily, and will make all the difference in the outcome. Then take sticks 5 cm in length at least. Book also the cooking oil to grease the ways. After gathering all this material, we begin to make our little treats. The first step is to fire all the ingredients except the dye. Do not disturb for some time (approximately 15-20 minutes) at which the pot is on fire. For the point-of-glass (Lollipop point, actually), place a bowl with water next to the stove and pump the mixture, which, at the right point, it should “break” as a glass. Be very careful! This mixture will be very hot and can cause serious injury to the skin. Do this away from children and not allow them to have contact with the material, even after they leave the fire. That done, add the aniline and turn the dough, still warm, forms anointed with oil, placing the lollipop sticks to finish. When they are hard, open forms, remove the lollipops. They are ready to be consumed. You can wrap them in cellophane, to have an aesthetic result and imposing. Or put them in a glass, tightly closed. If even after some lollipops are left, look for stores them in a dry place, and without contact with sunlight. These lollipops should last a few days, but everything will depend on the manner in which you will store them. Take care that no child breaks a tooth or gets hurt eating lollipops. 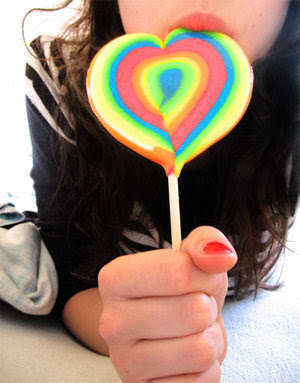 By failing to chemicals, they are more lollipops filling, and can be somewhat resistant to the small teeth. The only risk you have is going to make this recipe every weekend or every next birthday parties. Arguably, this recipe is much tastier than the options they have in the market. Your child and their friends will become fans of this recipe, and you can think even now accepting orders. Buy more forms, more sticks and make a little more. After taking the practice will realize that it’s better than going to the bar to buy lollipops industrialized.